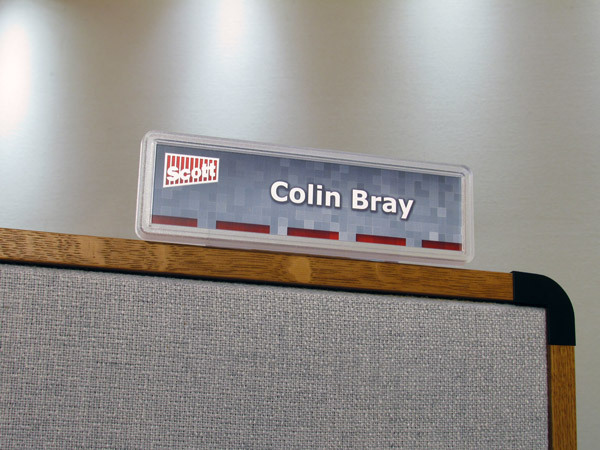 Make every cubicle feel like home with an attractive SNAP sign that brightens the office setting. Use a simple strip of hook tape or one of our custom hangers to attach your reusable workstation signs to any partition fabric. 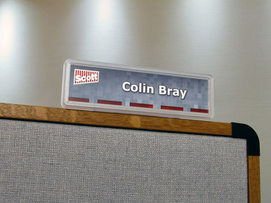 You can even showcase your cubicle sign in one of our special plastic stands, for display on top of an office divider. 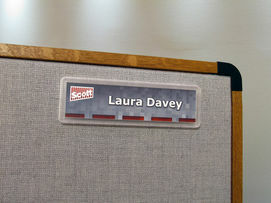 Professional-looking cubicle signs attach easily to fabric-covered surfaces with hook-&-loop fasteners. 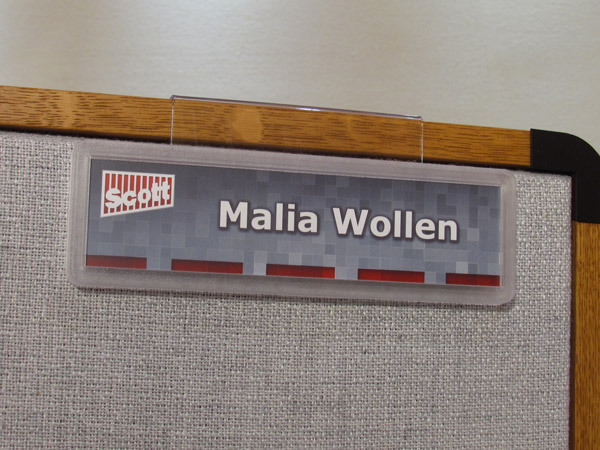 These attractive pod nameplates turn spaces into appealing places. To ensure that your changeable cubicle sign fits snugly along the top of the divider, all clear plastic hangers are custom-made to your specifications. 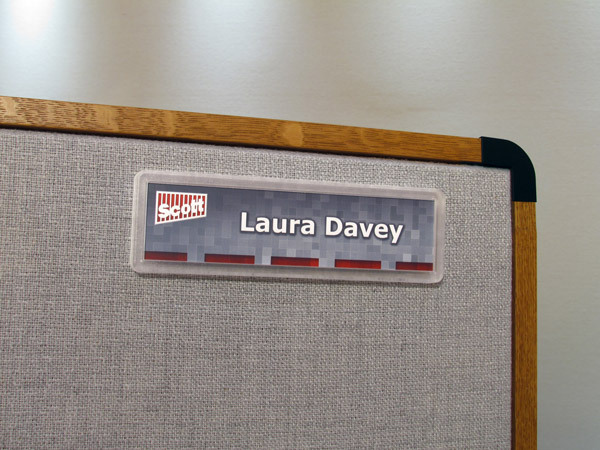 Announce every name with high visibility and style, encased in a quality custom-made stand that adheres to the partition top and individualizes your office setting. 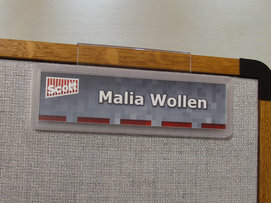 It only takes moments to change the mood of your work area with attention-getting cubicle signs. 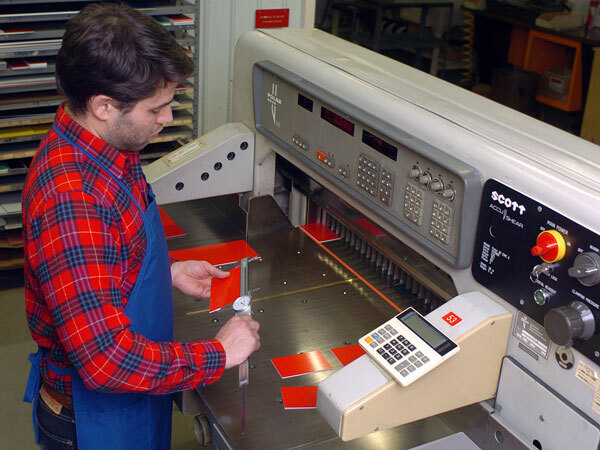 Create your own workstation signs today, in collaboration with our customized frames and variety of attachments.